If reading about all those creativity tips gets you excited about changing your life, here's one to read on finding your passion, whether that's for life in general or more specifically, in your career. New York: Harmony Books, c2012. 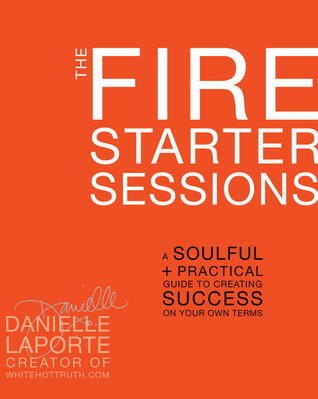 Danielle LaPorte is a cheerful, passionate life and business coach, well known now for her website and her many courses, books and products.When I first saw The Firestarter Sessions a couple of years ago, though, it was my introduction to her work. I've just reread it, and been re-energized by it at this time of year. Anyhow, this read ties in nicely to the whole idea of expanding creative ways of thinking, in this case focused on personal development. 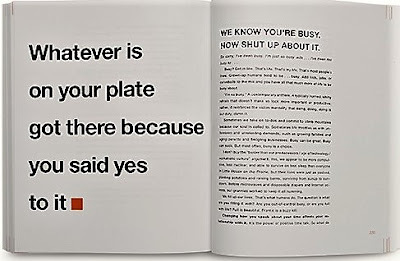 The tone is firm and positive - she is an Oprah/Marie Forleo/Gretchen Rubin kind of writer. But she also has an edge of take-no-crap Canadianness that I really enjoy ;) If you're ready for a book that requires honesty from the reader, this would be it. 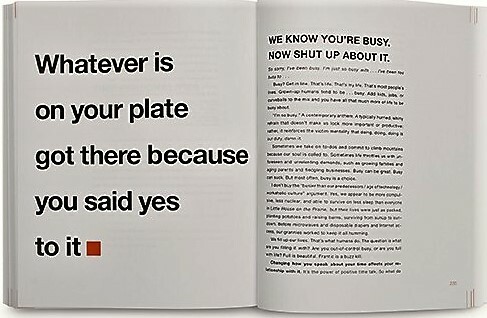 I find her style and the content of this book inspiring, for real. The questions she asks really help to move past the excuses we all make to ourselves, and to identify what it is that we want to happen -- and then what needs to be done to get there. No thinking small or yes-butting here. This is a book that would reward rereads and re-working of the questions and answers each time you engage with it. I can see it being helpful especially to those who are ready to make changes, and who are accustomed to writing their way toward finding answers for themselves. If you are thinking about life changes this year, check this book out, and then take a visit to LaPorte's website for more. Sounds perfect for a journaller! Absolutely! Lots and lots and lots of prompts to explore here.